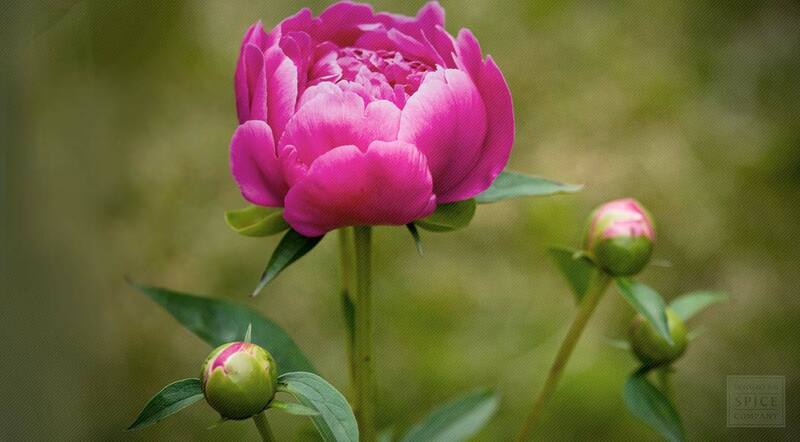 Most people are familiar with peony as a garden ornamental with large and lush blossoms. This beautiful flowering shrub also has the distinction of being the sole plant in the Paeonia genus. Although peony is also called Chinese peony due to possessing a long-standing significance in Asian culture, the herb is also native to southern Europe and some parts of western North America. While the lovely flowers and above-ground foliage are admired in the landscape, the root lends a sweet and sour flavor to teas and tonics. Peony root is also powdered and encapsulated as a dietary supplement. Paeonia lactiflora is a species of herbaceous perennial flowering plant in the Paeoniaceae family. It is 50–70 cm (20–28 in) tall and broad, with 9-lobed leaves 20–40 cm (8–16 in) long. The flower buds appear in late spring (May in the Northern Hemisphere). They are large and round, opening into fragrant, cup- or bowl-shaped flowers 8–16 cm (3–6 in) in diameter, with 5-10 white, pink, or crimson petals and yellow stamens. The word peony is a merger of Middle English pyony (from Old English peonie) and Old North French pione (Modern French pivoine), both from Late Latin peonia, from Latin pæonia, from Greek paionia. 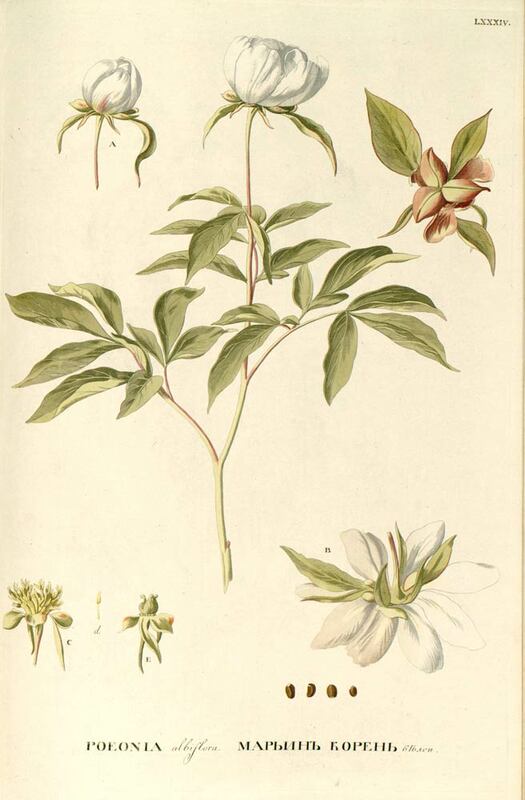 Paeonia lactiflora is native to central and eastern Asia from eastern Tibet across northern China to eastern Siberia. Grows on dry open stony slopes, riverbanks and sparse woodland edges, also in woods and grasslands at elevations of 400 - 2300 meters in China, in sun or light shade. Does best in a deep rich soil, preferably neutral or slightly alkaline. Seed is best sown as soon as it is ripe in a cold frame. When sown fresh, the seed produces a root about 6 weeks after sowing with shoots formed in the spring. Stored seed is much slower, it should be sown as soon as possible in a cold frame but may take 18 months or more to germinate. The roots are very sensitive to disturbance; so many growers allow the seedlings to remain in their pots for 2 growing seasons before potting them up. This allows a better root system to develop that is more resilient to disturbance. The roots are harvested in the autumn from cultivated plants that are 4 to 5 years old and are boiled before being sun-dried for later use. Store dried peony root in an airtight container in a cool, dry place.